1. Will New Jersey Be the Next State to Legalize Weed? The governor and the legislature are just about ready to roll. 2. Will Denver Be the First Place in America to Legalize Magic Mushrooms? Next year, the Mile High City could get even higher. The GOP-led Health Department radically inflated cost estimates, and the GOP-led legislature went along with it. StoptheDrugWar.org condemns the Duterte administration's illegal move to imprison a second prominent drug war critic, and the court system's strained logic going along with it. The House Judiciary Committee approved a medical marijuana research bill, but with an obnoxious provision; a hundred Michigan dispensaries get a reprieve, Louisiana docs get the right to recommend medical marijuana to as many patients as they wish, and more. It's been pretty quiet on the medical marijuana front this week, but the DEA has okayed the importation of Canadian marijuana for research purposes, and more. Medical professionals are on board with marijuana legalization, and Diane Feinstein is getting there, too; the latest national drug use survey is out, US Customs talks tough about Canadians and marijuana, and more. Tough talk about barring Canadians with links to legal marijuana leads one congressman to act, "fake pot" kills five and leaves dozens sick in DC, Oklahoma's medical marijuana fight continues, and more. South Africa just became the first country on the continent to legalize marijuana possession, New Jersey wants to be the next state to legalize marijuana, the Senate passes a limited opioid bill, and more. President Trump is headed to the UN to rally global drug warriors, New Jersey's long-awaited marijuana legalization bill is just about ready, Philadelphia settles a massive asset forfeiture lawsuit, and more. A provision in the House opioid bill that would let the attorney general set sentences for synthetic drug offenses generates opposition, Colombia's coca production was at record levels last year, the DEA has okayed the import of Canadian marijuana for research purposes, and more. The Northern Marianas Islands becomes the first US territory to legalize marijuana, a New Mexico poll has strong support for marijuana legalization, and more. 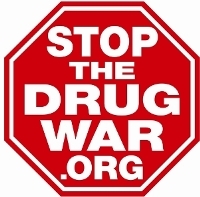 Permission to Reprint: This issue of Drug War Chronicle is licensed under a modified Creative Commons Attribution license. Articles of a purely educational nature in Drug War Chronicle appear courtesy of DRCNet Foundation, unless otherwise noted.